Whether it's some winter sun or change of culture, we have something for you. If you are in the mood to ditch those mince pies, throw your winter socks in the back of the drawer and turn your back on the cold, dark evenings, then we have some super alternative Christmas destination suggestions for you. It is becoming very popular for people from around the world to celebrate Christmas in Iceland as well as New Year. Activities on offer over Christmas include exploring the ice caves, glacier hiking, snowmobiling and of course the infamous Northern Lights which can often be seen during the holiday season in Iceland. The Christmas period itself lasts for 26 days from 11th December to 6th January and Iceland happens to have 13 Santa Clauses who come to town 13 nights leading up to Christmas! They all have different characters a bit like the Seven Dwarves. Whilst it is the darkest time of year when it comes to daylight hours, the positive is that there are hundreds of twinkling Christmas lights everywhere and plenty of snow (hopefully!) 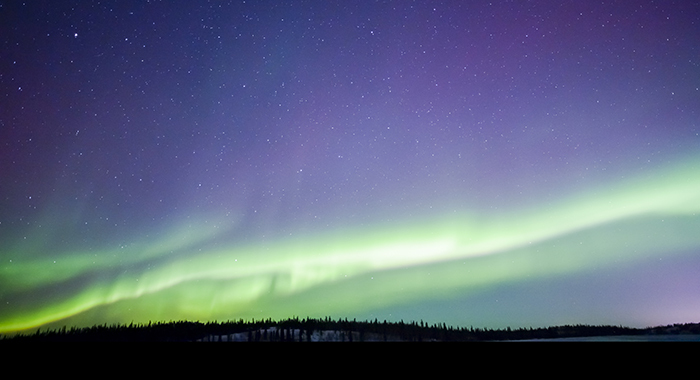 On a clear night, the sky auroras can be seen in green, pink, white and purple. What could be more magical and Christmas-like? 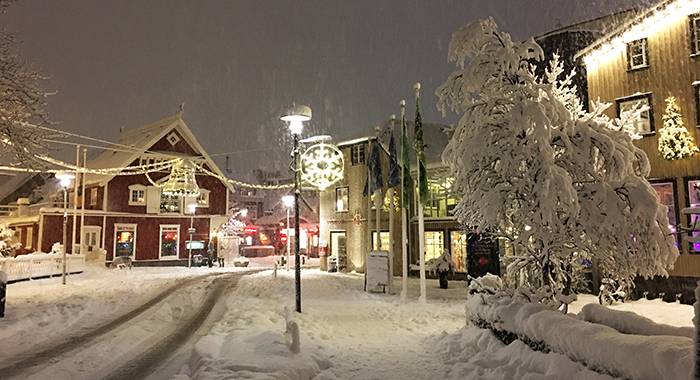 Due to the dark night, people in Iceland often start to decorate in October and all-around town there are Christmas markets, ice skating rinks, concerts and buffets for the ultimate Christmas getaway. Celebrations begin at 18:00 on Christmas Eve surrounded by family and friends along with plenty of food and drinks. Christmas day is similar to the UK, spending time with family, watching films and playing games and Boxing Day is actually a day to go out and party at bars and clubs! For food lovers, there are lots of Icelandic sweet treats on offer and one of the most popular is the ‘Sara’, named after a famous French actress. The biscuit is made up of an almond macaroon, a biscuit base, filled with chocolate cream and dipped in chocolate. These are best served slightly frozen. There are also gingerbread and chocolate cookies, liquorice tops and more. Things to do: Learn about Iceland’s Santa Clauses and listen to live music, sightseeing, glacier hiking, visiting ice caves, self-drive tours, excursions, whale watching tours, Blue Lagoon visiting, Northern Light hunts, a bus tour. 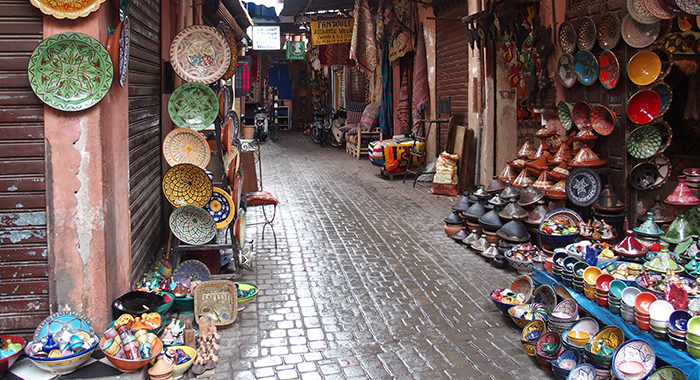 If you want to spend Christmas in a different culture altogether, then Marrakech may be the holiday destination for you! You can swap your turkey for a tagine, and the cold weather for sunshine and highs of 20°C, all within a few hours flight time away. If you are looking for some last-minute Christmas gifts there is a maze of souks with all kinds of gifts including beaded slippers, glass lanterns, jewellery and more. During the evenings there are a variety of street foods on offer bubbling away in tagines and restaurants and cafes with roof terraces under the stars. 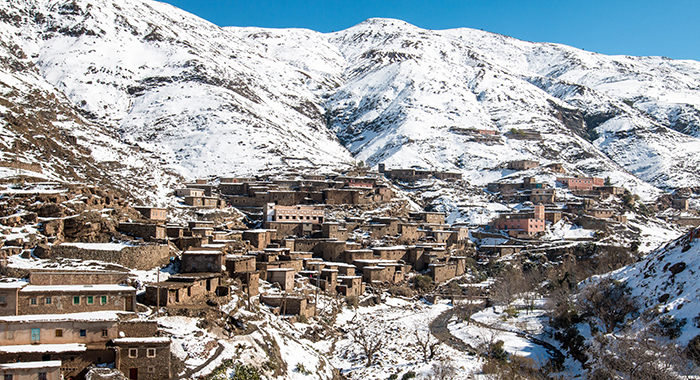 If you are planning to spend the Christmas period in Marrakech there are a variety of options for you including a visit to the Atlas Mountains, which is a two-hour drive away and a gorgeous peaceful retreat away from the hustle and bustle. You can sit around a log fire and stay cosy and warm with a cup of mint tea like the locals. The mountain area is also a fantastic location for the boxing day slump with plenty of stunning mountain walks and hikes through groves under a blue, clear sky. For a relaxing treat, visit a local hammam which features a sauna, exfoliating massage, ended by a quick dip in an icy cold pool, You can hammams all over Marrakech and they are guaranteed to relieve you of your Christmas stress. We have all kinds of luxury hotels to choose from both in the bustling streets and further out into the desert. For a complete change of scenery from mulled wine, Christmas markets and nights by the fire, why not try a safari for Christmas? Whatever your reason to escape the UK holidays, we have a roundup of some of the best places to enjoy a Christmas safari. 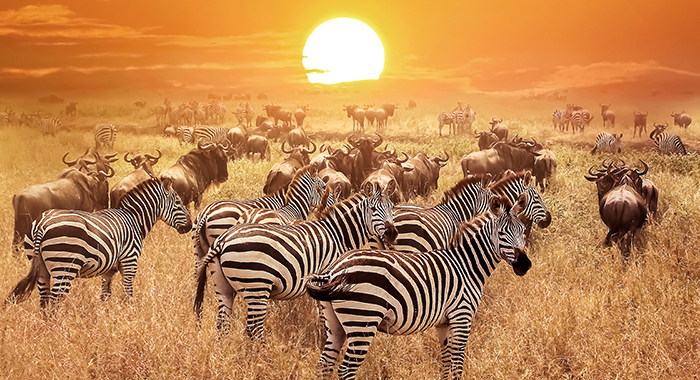 Swap Rudolph for a different sort of hooved beast and enjoy a Safari exploring the Masai Mara Game Reserve, paradise beaches of Zanzibar and be surrounded by up to 2 million wild animals for your Christmas adventures. Day 1 starts in the Masai Mara where you will spend two days game driving and watching the wildlife including wildebeest which make up the main population of the Great Migration. Day 4 takes you to Zanzibar with its beautiful beaches, tropical gardens and clear waters of the Indian Ocean until Day 11 in a hotel, The Residence Zanzibar which is located in a 32-hectare forest estate by the Indian Ocean. Here you can relax, take in the local life and culture and book some optional excursion in the area. Exchange mince pies and Christmas pudding for curry and roti on the Golden Triangle tour of India. This 12-day safari will take you through Delhi, the Taj Mahal, Jaipur and Tiger Reserve and you will visit Ranthambore National Park. The safari starts in Delhi where you will take in all the sights and sounds of the city until Day 4 when you will board the Gatimaan Express train to Agra where you will see Agra Fort, a World Heritage site and Itmad-Ud-Duala’s Tomb. Day 5 is a visit to the Taj Mahal, nice and early before the crowds arrive and then onto SOS Wildlife which runs a bear rescue facility with over 250 bears now living a happy life. 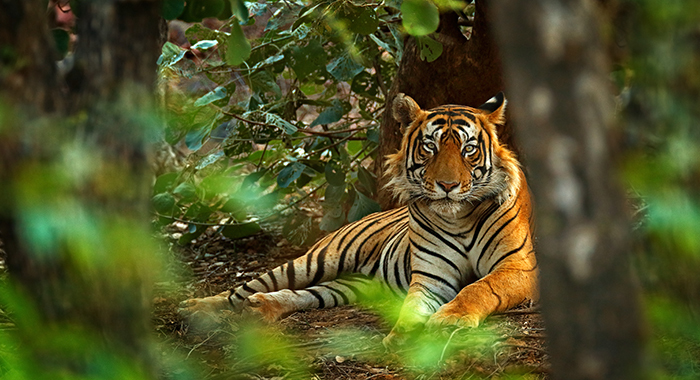 Then on Day 6 onto Bharatpur and then Ranthambore where within its national park you are likely to see the stunning Bengal tigers in their natural habitat along with ancient ruins and a 1000-year-old fort. Other animals you may spot include Indian leopard, hyena, sloth bear and wild boar. The trip then takes you to Jaipur where you can explore the city, forts and Aravalli Hills and optional extras include a bike ride in the early morning and cooking lessons before flying home. For those wanting something a little warmer over the festive period, but without flying across the globe, then a great Christmas destination would be Oman. With a very pleasant average daily temperature of 22°C in December, it is the perfect weather for activities, adventures and sightseeing. 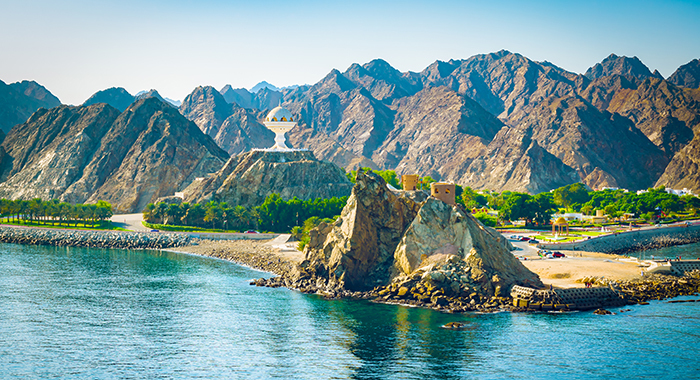 Oman has lots to see and do and the capital, Muscat features some fantastic hotels including Al Bustan Palace which was renovated in 2018 and is a real-life palace by the sea. The landscape of Oman is fantastic for adventure lovers - the Hajar Mountains behind Muscat lead to Nizwa, Oman’s ancient capital. 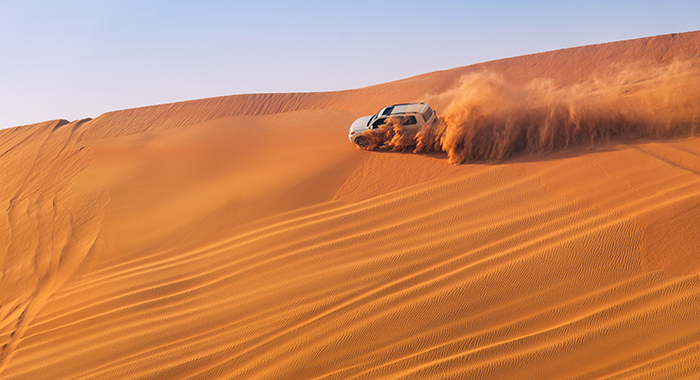 A longer road trip takes you to Wahiba Sands which is full of sand dunes where you can desert drive, go camel riding and even stay in a desert camp. Other areas worth exploring are the Grand Mosque and souq, dhow trips, dolphin watching and snorkelling at the Daymanitay Islands. If you are interested in an alternative Christmas this year, then get in touch and let us plan the best Christmas you ever had!